Mary Laven discusses her psychic gift. Listen to Mary Laven tell her story. Mary interviews Jorge Luis Delgado, Inca Shaman, spiritual tour guide, author of Andean Awakening and teacher at the Omega Institute on removing the heavy energies that weigh us down with light, love and ceremonial plants. Interview with Troy Parkinson on Edge Wisdom Radio. 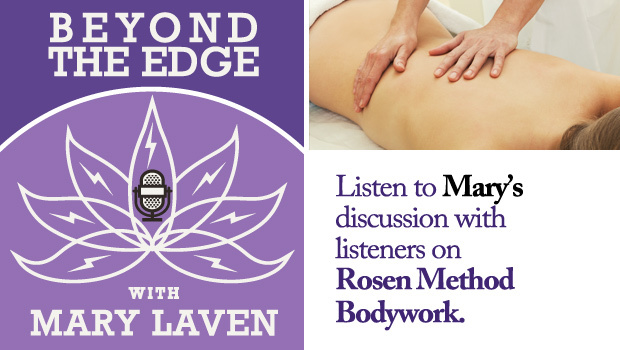 Hear Catheryn Taylor of Edge Talk interview Mary Laven about Wind Over Fire Healing Arts Center.